Description: The air pockets within the sheet contain handful of nutritional essence, providing natural moisture and nourishment to skin. 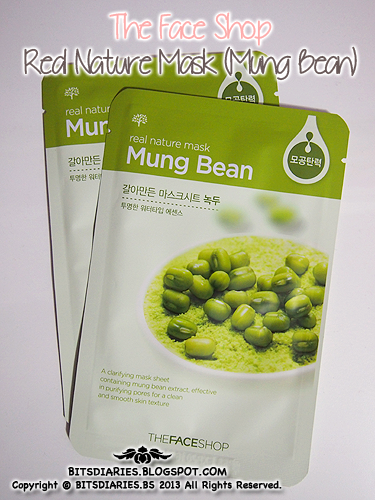 *Mung Bean: A clarifying mask sheet containing mung bean extract, effective in purifying pores for a clean and smooth skin texture. Directions: Wash face and apply toner. Pull out the mask and carefully place it on the face. 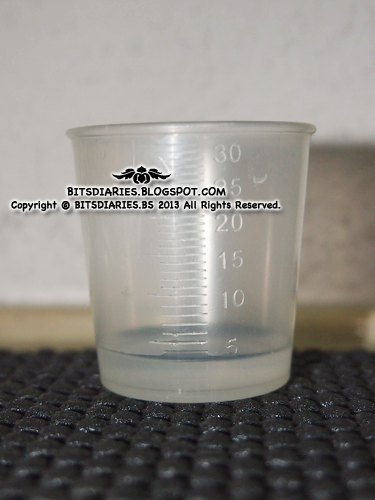 Remove after 10~12 minutes and tap lightly to absorb the remaining essence into the skin. This is the amount of excess essence being poured out from the pack. The essence gets absorbed within 10 minutes and it does leaves a slight stickiness on the skin. 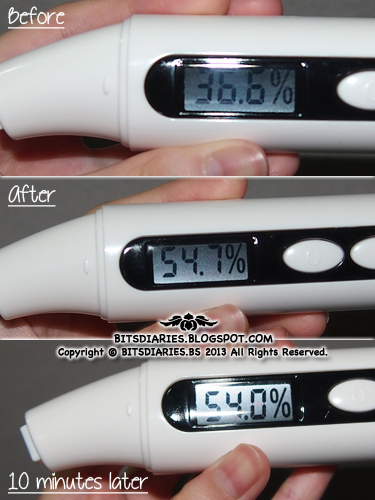 Before applying the essence, my skin moisture level measured 36.6%. After applying the essence, my skin moisture level measured 54.7%. After 10 minutes later(essence got absorbed), I took the measurement again, it dropped to 54.0%. The difference on moisture loss after 10 minutes was only 0.7%. which I concluded that this mask is quite moisturizing. 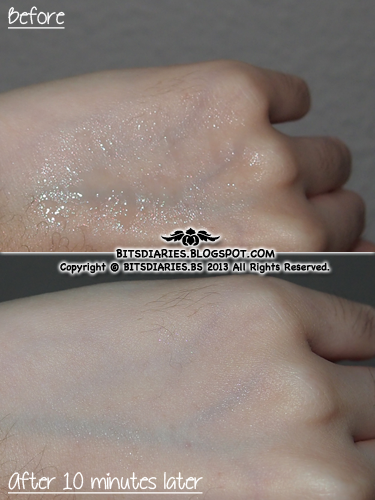 With application of a toner and a moisturizer, I believe the skin will be perfectly hydrated! Verdict: I couldn't tell if this mask helps to purify pores. Good thing is that I didn't get breakout after using. 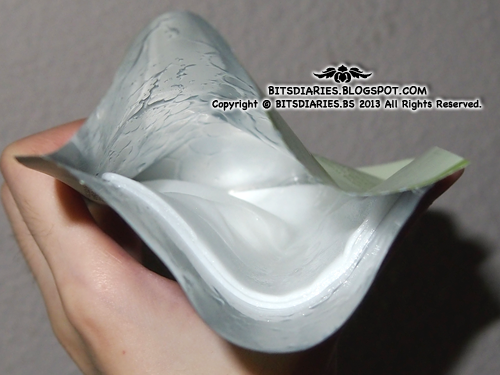 It does moisturizes my skin and my skin will look radiant, soft and smooth(and sticky -.-) to the touch after using. On the other hand, I don't know if this mask helps with oil control. Sorry, I didn't really take notice...... However, my brother who also tried this mask the other day, noticed a difference in oiliness before and after using the mask. He actually whatsapped me during his working hours asking about whether this mask helps with oil control because his face isn't as oily as what he would normally gets. So perhaps..., this mask does helps with controlling oil. Anyway, thanks for sharing, Ashley! 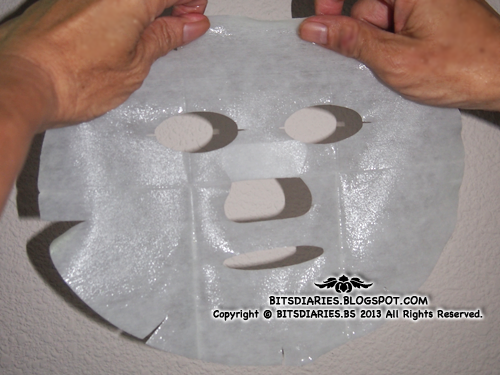 Totally remind me of my mask sheets that I haven't tried and tested. Hi, i hear the face shop became producing some product from nature original ? That sounds good. I like it.